ELA offering for Team Innovate for personalized learning. Too often we view innovation as major flashes or shiny tools. I contend that innovation can be simple improvisations in an environment. In the past few weeks my design thinking hat has noticed some interesting changes in our learning environments that come from empathizing with our learners and, what I term, ‘no box’ thinking. Remember, I am talking simple pieces of innovation. Innovation does not need to be complex. I believe innovation is change with added value, and I have noticed that our learners have created change to improve the value of their products. Student voice and choice is a prominent piece of this change, but it is still left to the learner to CREATE the change. In our building every inch of space is debatable. This is the reason we are building our own furniture, which must be multi-purpose and flexible. 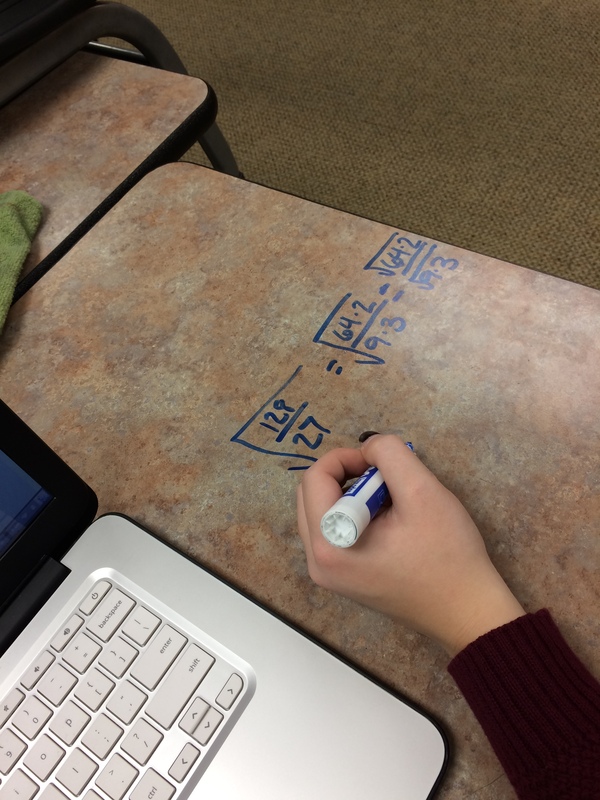 Our learners in our math settings have started asking if they use a dry erase marker to solve equations on basic desks. Instead of spending money for whiteboard paint, they have discovered that many of our ‘old’ desks can be multi-purpose. They also have seen the value in our homemade furniture as a tool to produce artifacts. 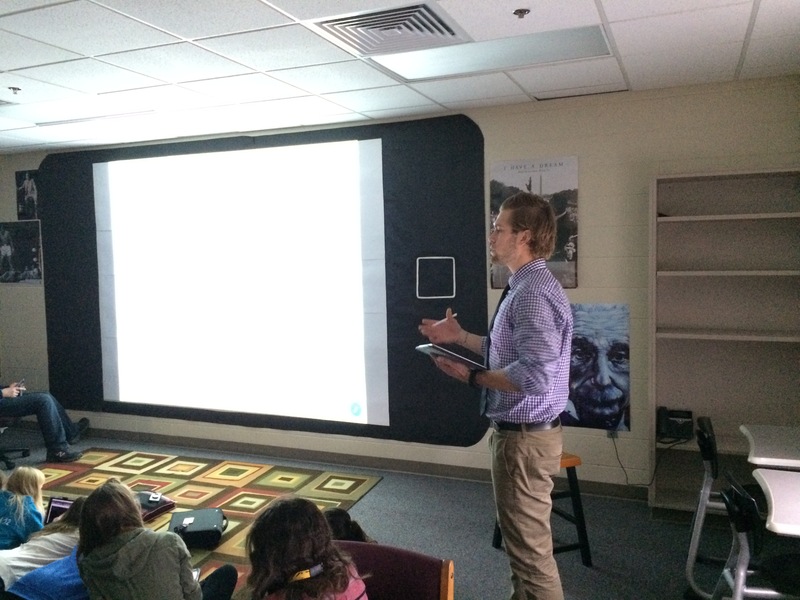 If the information is needed as an artifact of learning, they snap a picture and airdrop it to the facilitator. View every space with potential. Learner working at one of our flexible furniture builds. See previous post on this build. 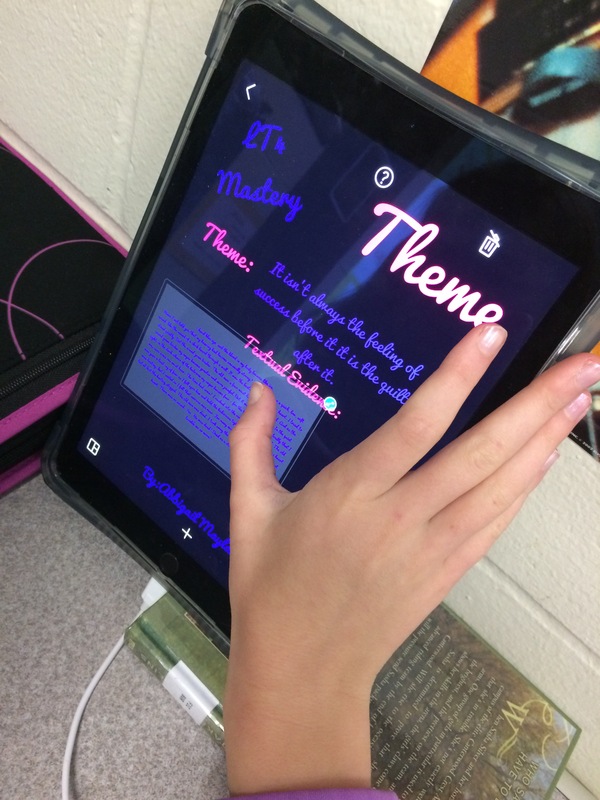 Student choice and voice on an ELA project to fit learning. In a previous post I explained that I use the philosophy of ‘no box’ thinking. Our facilitators (teachers) have learned how to grow their empathy for our learners. 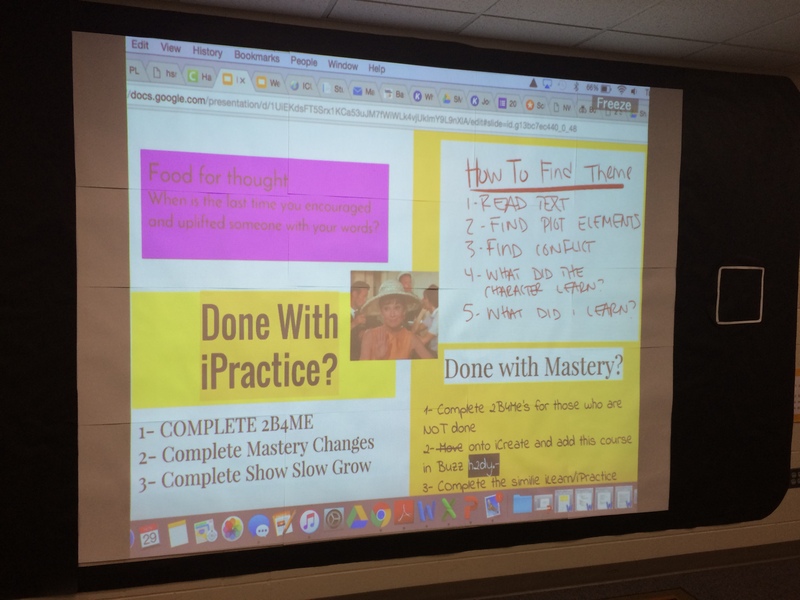 A recent example appeared within our personalized learning cohort called Team Innovate. As I was walking through their learning studios, I noticed that the projectors had been turned around, front to the back of the room. My first thought – larger screen for learners to view. Seminar offering on the pyramids of Egypt. Later, I discovered the ‘why’. Learners were having difficulty concentrating during seminars because the door would open, which moved their attention away from the facilitator. 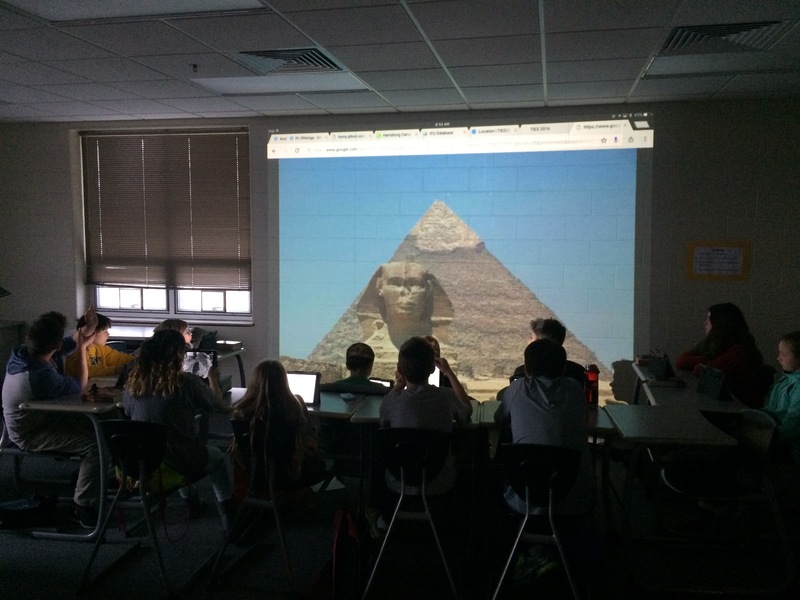 Solution – turn the projector to the back of the room helping eliminate distractions in their learning. This is simple innovation. This is empathizing with our learners. Now, they have become more creative in design by making the screen appear to be a phone. Did anyone ask me to do this? Absolutely not! They knew what was best for their learners and have the freedom to make these choices. This is one of several posts on our personalized learning environment. 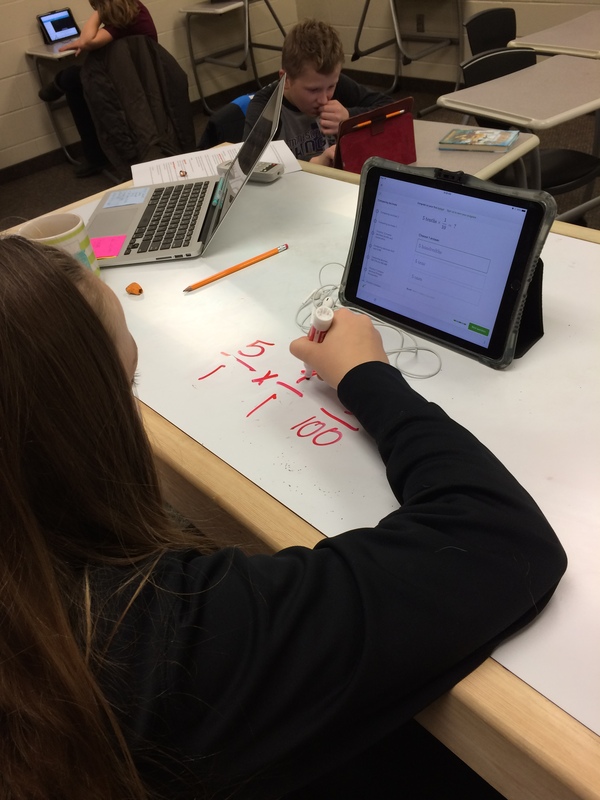 Follow #hsmstigers and #plinnovate if you want view more artifacts of our personalized learning program. Follow me on Twitter, @dellwein, to connect on furniture builds and personalized learning. This entry was posted in Uncategorized on November 30, 2016 by darrenellwein.